Find relaxation and restoration of your senses, and seek out special treatment during your stay with us. 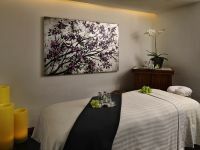 At Aurora Spa Mexico City, the Rejuvenate Package is the quickest way to true serenity. Offering a facial, papaya scrub, complimentary breakfast and more, this experience is a magical combination of all that distinguishes Aurora, the best spa in the Polanco District. Daily Full Mexican Breakfast per person (i.e. Continental Breakfast + 1 main course of the menu per person). One 60-minute Cinq Monde ILLUMINESCENCE Facial. One 30-minute Cinq Monde Papaya Scrub. Complimentary soft drinks and Mexican candies & snacks from the mini bar.